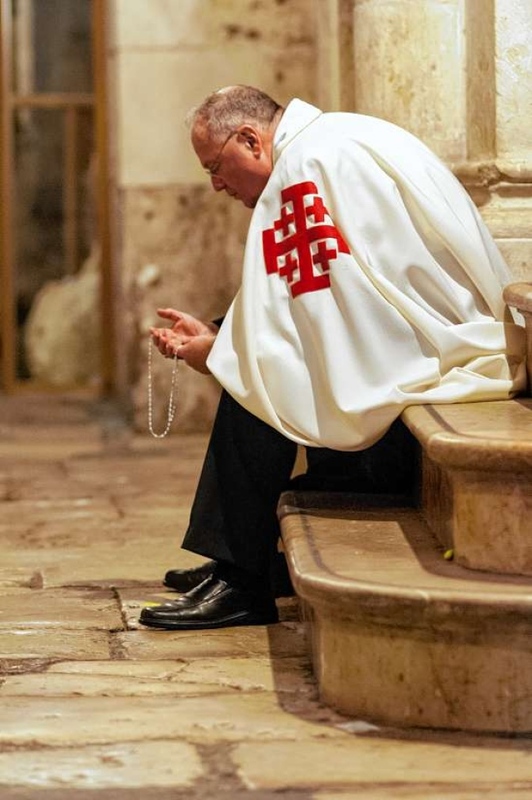 On pilgrimage to the Holy Land, Archbishop (Cardinal-designate) Timothy Michael Dolan takes a moment to pray at the site of Lord’s crucifixion. The NY Daily News has a story. The Pope’s man in Ireland, Archbishop Charles J. Brown, arrives to take up his duties. 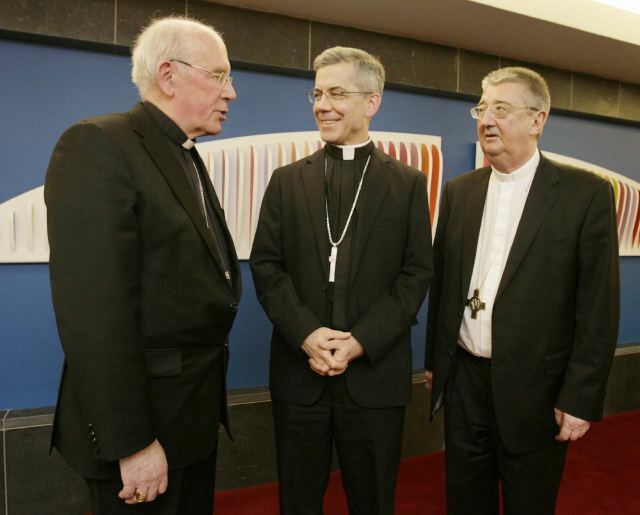 He’s greeted by Seán Cardinal Brady (Archbishop of Armagh) and Archbishop Diarmuid Martin (Archbishop of Dublin). The newly ordained archbishop is a New York native and until recently has been working in the Congregation for the Doctrine of the Faith. Saint Patrick, pray for Ireland. Coercing religious ministries and citizens to pay directly for actions that violate their teaching is an unprecedented incursion into freedom of conscience. 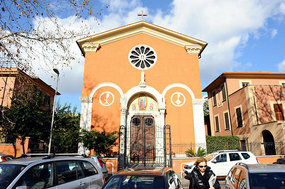 Organizations fear that this unjust rule will force them to take one horn or the other of an unacceptable dilemma: Stop serving people of all faiths in their ministries–so that they will fall under the narrow exemption–or stop providing health-care coverage to their own employees. 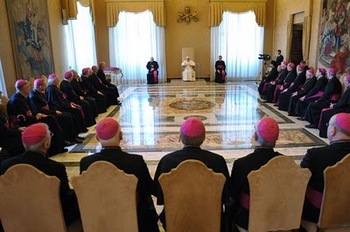 As you know, the Pope is meeting for next several months with all the bishops of the United States. Two weeks ago I noted the Ad Limina Apostolorum of the New England bishops; this week the Pope meets with the New York bishops and next week he’ll be meeting with the New Jersey and Pennsylvania bishops. His reflections and leadership on key areas are crucial for all of us to pay attention to right now for the good of the Church. The text of his address to the bishops of these three regions is given below. Our meetings are the first since my 2008 Pastoral Visit to your country, which was intended to encourage the Catholics of America in the wake of the scandal and disorientation caused by the sexual abuse crisis of recent decades. I wished to acknowledge personally the suffering inflicted on the victims and the honest efforts made both to ensure the safety of our children and to deal appropriately and transparently with allegations as they arise. It is my hope that the Church’s conscientious efforts to confront this reality will help the broader community to recognize the causes, true extent and devastating consequences of sexual abuse, and to respond effectively to this scourge which affects every level of society. By the same token, just as the Church is rightly held to exacting standards in this regard, all other institutions, without exception, should be held to the same standards.